This Meatloaf Recipe is not only delicious, but it has an amazing magical surprise in the middle! Grandma handed down her famous meatloaf recipe and I have made it at least once a week since. 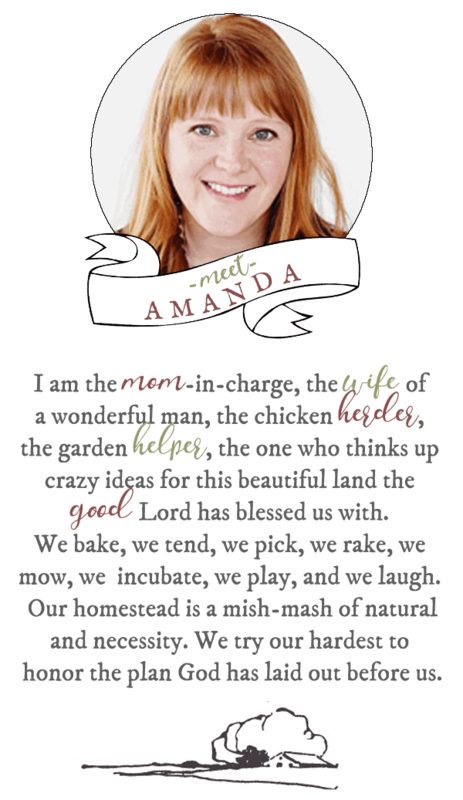 I recently kicked it up and notch and added a fun twist… eggs in the middle! 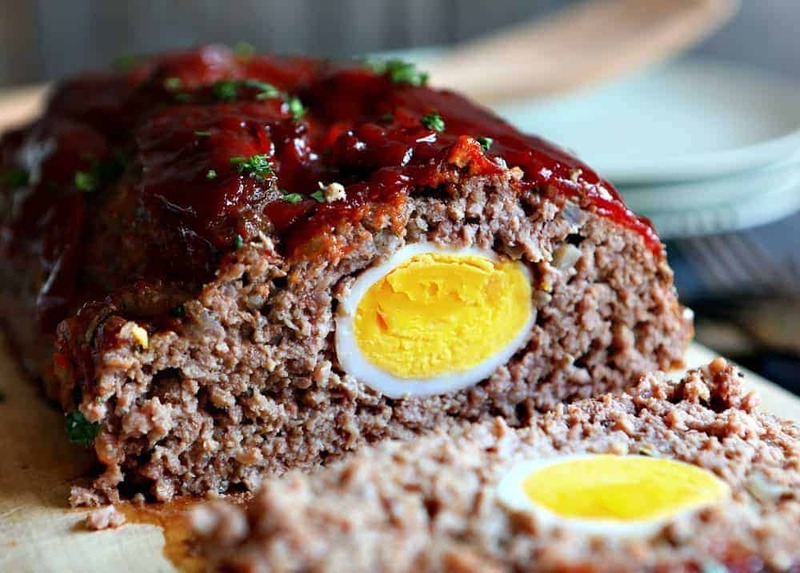 Eggs add something pretty awesome to a standard meatloaf. They are light and airy compared to a dense loaf of hamburger meat and the contrasting textures taste absolutely amazing. I have heard a good many people say that only meatloaf they are interested in is the band. I say, let’s settle this over some dinner. This is it, the ultimate in comfort food. Why do some turn away from this amazing meal? Probably because they are doing it wrong, or their mom did. So, how do we turn a blah meatloaf recipe into something amazing? It has to be juicy, saucy, and full of flavor. 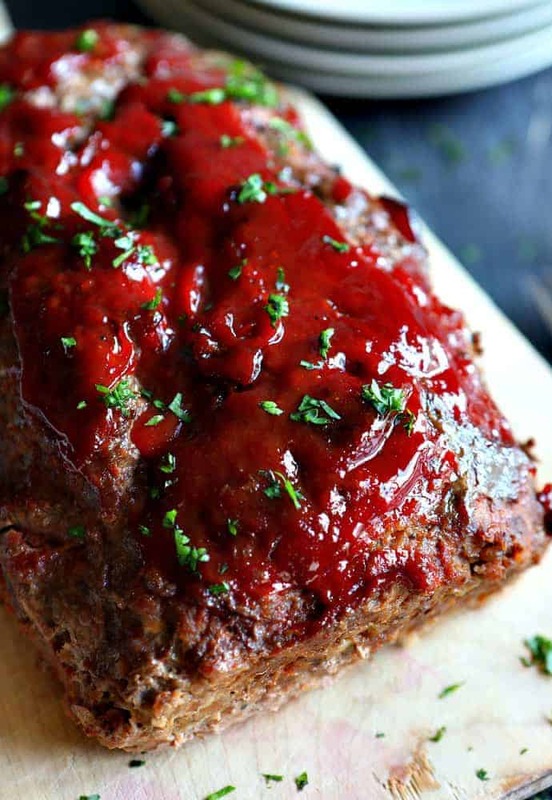 This meatloaf will knock your socks off! It has all of the aforementioned requirements. The seasoning in this meatloaf recipe is simple. A little hamburger mixed with onions, freshly cracked eggs, garlic, salt, pepper, milk, Worcestershire and some crushed up crackers. Simple right? It’s all in the details. For this recipe, we start by kicking up the flavor a notch by caramelizing the onions before we mix it into the ground beef. Throw everything together in one pot and get mixing. First things first, you will need a few soft boiled eggs. If you are boiling them, I usually recommend about 4-5 minutes. That really depends on the freshness of your eggs though. I prefer to put them in a little bit softer than normal because this recipe is going to bake for an hour. Seriously, this is so easy! You saute the onions, boil the eggs, mix the meatloaf ingredients, put a small bit (about half the meat) in a greased oven safe casserole dish, place the eggs and then surround them with the remaining mixture. Top it all off with a 50/50 mixture of ketchup and sweet barbeque sauce, and bake. 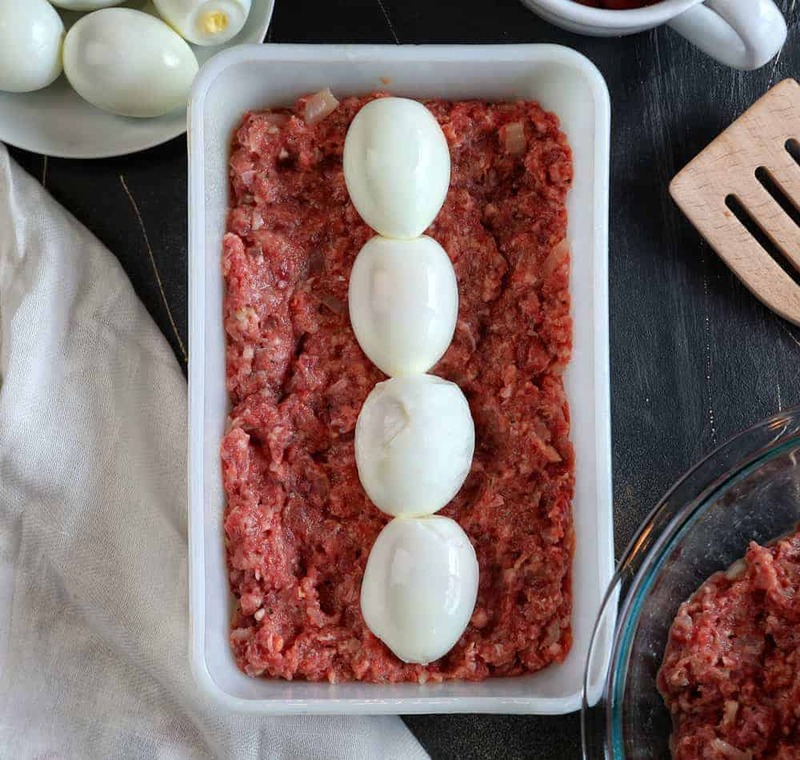 What should I serve with this Meatloaf Recipe? 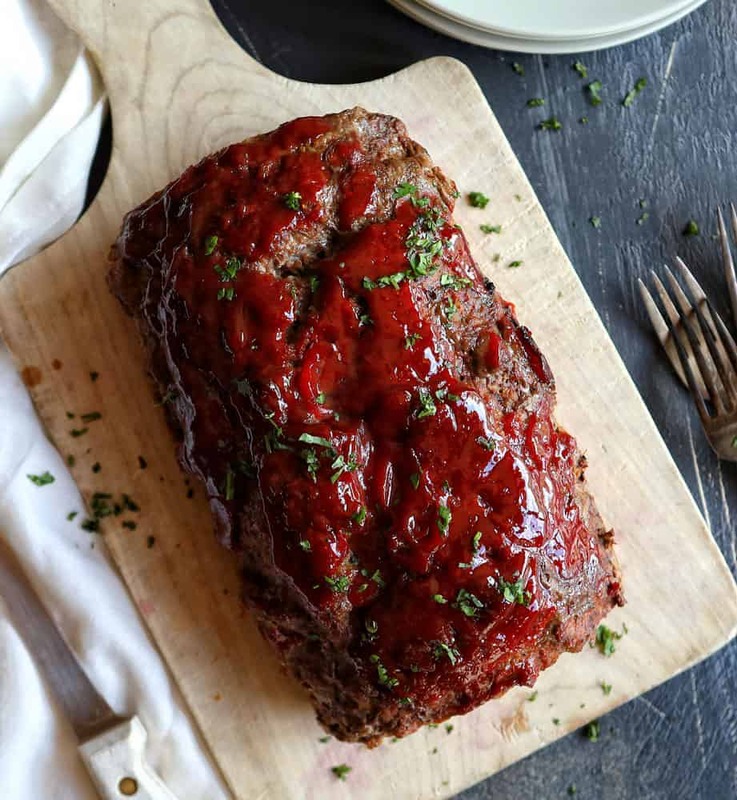 Let’s be honest, meatloaf is a heavy meal and we know you can’t eat just one slice! However, depending on how many people you have to serve, you might want this meal to stretch a little further. I would recommend pairing it with my baked parmesan shoestring fries or garlic potato wedges. You could simply serve it up with some green beans or sweet corn as well if you wanted something a little lighter. 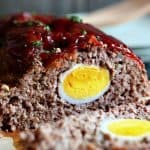 What kind of meat should I use for this meatloaf recipe? Can I make a meatloaf sandwich with this recipe? Yes! The trick to making this meatloaf recipe “sandwich worthy” is to pack the meat mixture tighter. Generally speaking, for a lighter texture, I do not recommend packing the meat too tightly. For sandwiches though, you can really get in there and pack it in. The tighter the better. Do I have to use Barbeque Sauce? No, there are many variations out there for the tomato sauce on top. I would stick with ketchup, although you could mix in a little sriracha ketchup if you like it spicy. For the barbeque sauce, you could use brown sugar instead. The flavor you are going for has a sweet tang and ketchup mixed with brown sugar will work in the same way. Do I have to use the egg? Not at all. You can skip it all together or, throw some mozzarella in the center for a cheesy meatloaf. Can I make this Meatloaf ahead of time? You can! The meat mixture and the sauce for the top can all be made a day in advance. I would hold off on the eggs because you want them soft. If you don’t mind a hard boiled egg then you can make that in advance as well! Just look at that fun surprise!!! Not only do the eggs look delicious, but they taste amazing too! Your family will get excited about meatloaf again! In a large non-stick pan heat oil over medium-high heat until hot. Add chopped onions and cook for 5 to 7 minutes or until tender, stirring frequently. Remove from heat and set aside. 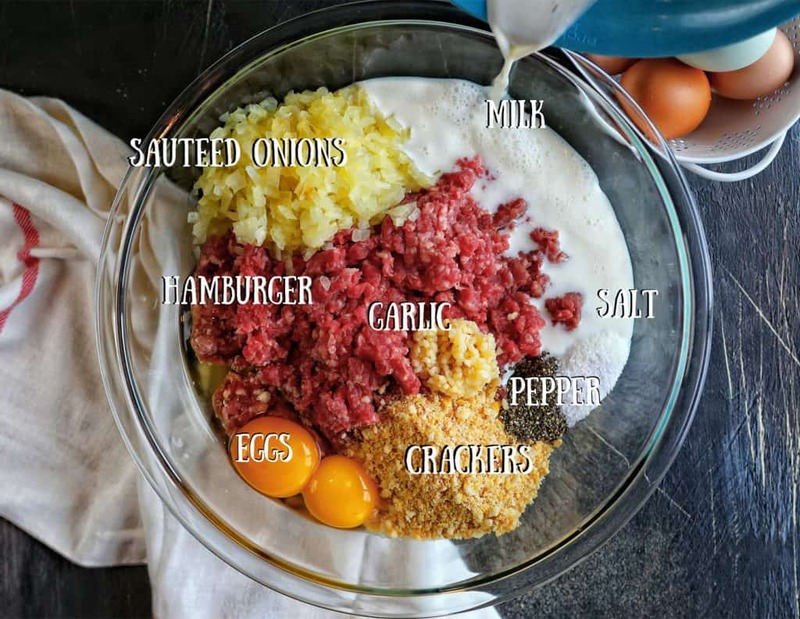 In a large bowl, combine beef, eggs, onion, garlic, crackers (or bread crumbs), salt, pepper, and Worcestershire sauce. Add in half of the milk and mix. The amount of milk may vary. The texture should be soft, but not runny. Add more as needed. In a greased loaf pan, add a 1-inch layer of the meat mixture. Place the eggs in a neat row in the center. Add the remaining meat mixture on top of the eggs, carefully sealing all edges and pressing the meat in tightly. 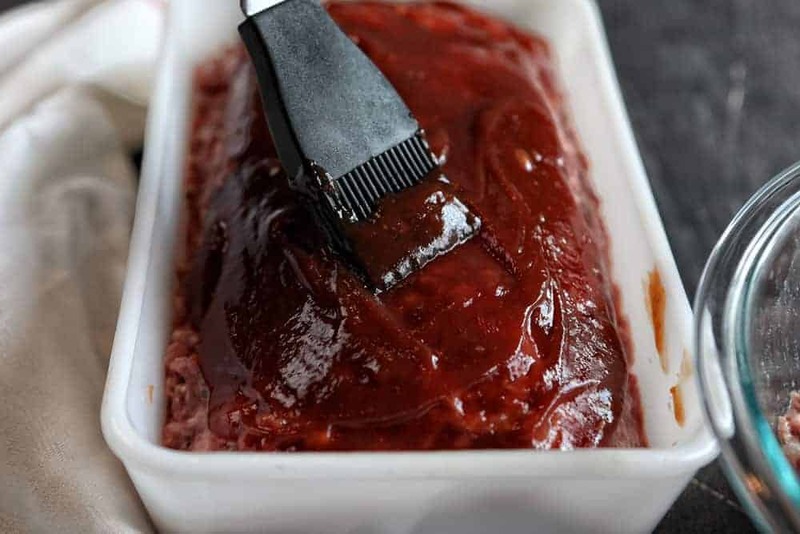 In a separate bowl, combine ketchup and barbeque sauce. Mix well and spread over the top of the meatloaf. Bake for 1 hour. Allow to cool for about 5 minutes before cutting. Looks tasty – can’t wait to make it. I had akready planned on making meatloaf, so i think I will try this…my mouth can already taste it…looks yummy! I can only use a toaster oven so I hope it works out! Can I please have the recipe for that meat loaf. Looks delicious! Our US Navy Stewburners used to make this aboard ship – We called it “One-eyed Meatloaf”. Always delicious! Hi, I’d like to thank you for all the wonderful ideas and recipe’s, but I’m not a chef. Obviously, the amount of ingredients needed are a huge part of making delicious meals. Am I missing something or just not seeing the measurements for spices, liquids, vegetables, etc. I would never have thought to use crumbled Ritz crackers instead of bread crumbs! It asks for 2T of salt … I used half that and it was good. I’m afraid to try more! I also used a bolder, spicier BBQ sauce (Bull’s-Eye Guinness) to mix with the ketchup and it worked very well. You have to flip it twice: once to get it out of the pan and once to get it upright again. It’s a challenge with all the sauce on top as well as all the rendered fat in the pan. You could try lining the pan with foil and create handles to lift it out afterward. Quaker oats instead of Ritz crackers works well. Yes, the use of the old fashioned oats as the expander, dates back to a 1957 recipe my Mom always made. Mix dry mustard, brown sugar and ketchup for the topping. Delicious! this is the same meatloaf my mom made I also have a great way to make meatloaf. sauted spinach and carmelized onions and sauted mushrooms with mozzarella cheese in the middle of the loaf adding tomato sauce on the top 15 minutes before its done.